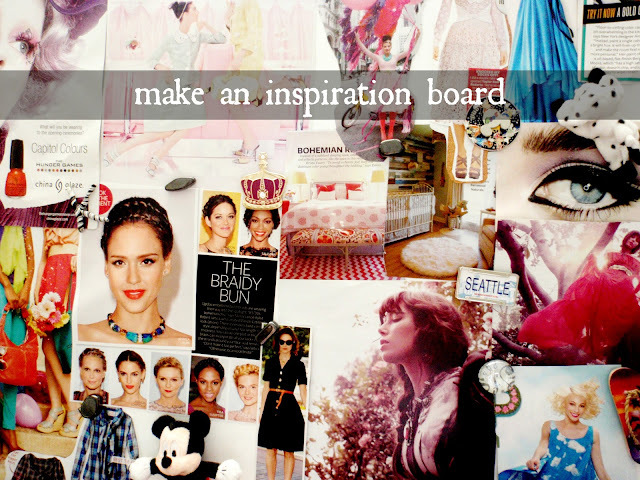 A Creative Cookie: inspiration board. I love InStyle magazine. One thing I really like about them is that they have pretty pictures. Making an inspiration board is something I've wanted to do for a while now, so I cut out pictures from InStyle and pinned them on a big magnet board from Ikea with magnets. Then I covered the edges of the board in washi tape :) Super easy, right? You can pin up anything that inspires you. It could be a scrap of fabric, a piece of jewelry, a paint chip, etc.